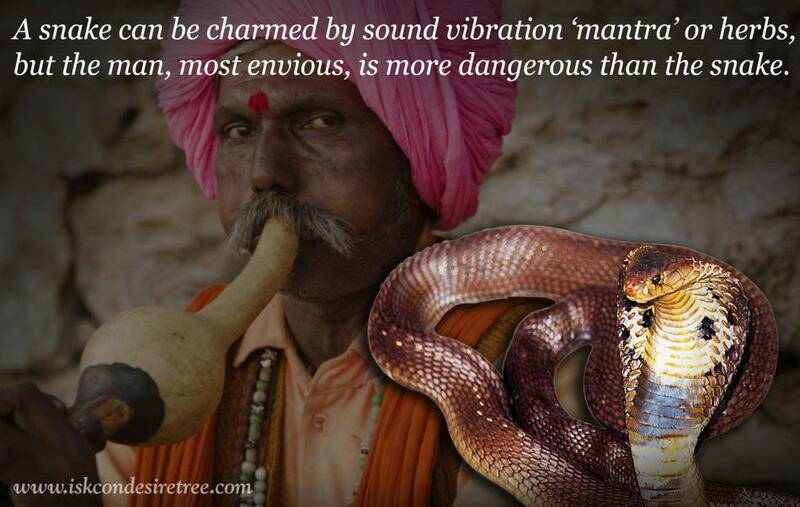 A snake can be charmed by sound vibration 'mantra'or herbs, but the man, most envious, is more dangerous than the snake. Animalistic envy exists in human society as long as there is no performance of sankirtana-yajna. 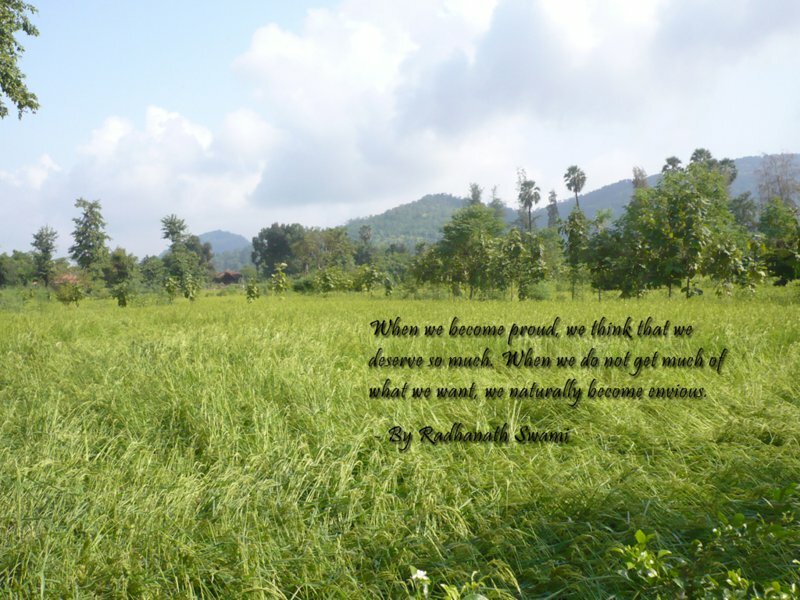 Nature of Envy is to take quality and interpret and re-interpret. People's criticizing others is an exhibition of their envy to GOD. Sarcasm is just a manifestation of our hidden envy.